This receipt bin is simple yet effective. The unit is emptied via an access door to the front, which is fitted with a lock. 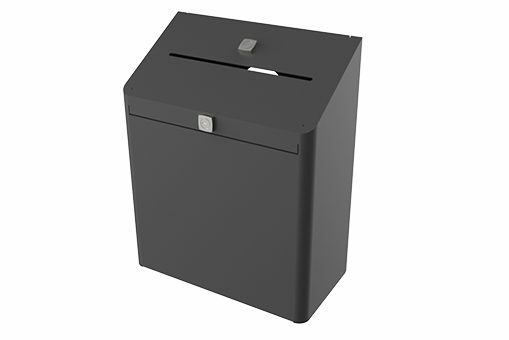 When required, the deposit slot can be shut off to prevent use.